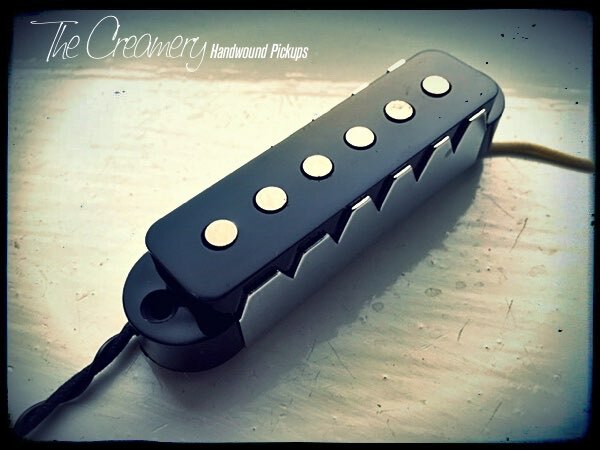 Based on the original Jaguar specs of the 60s, I've created these Jaguar style pickups as a direct replacement for the modern reissues and those found in Squier Jaguar guitars. Moving to the mid' 60s with a slightly fatter attack & bite in the bridge positon and a slightly fuller spank in the neck - Essentially a slightly rounder sound compared to the earlier '62 design. Available in black, white or aged white covers and with or without the ferrous chrome-plated metal claws attached and wax potted to stop microphonic feedback. The Jaguar neck pickup can be reverse wound, reverse polarity RW/RP to create a hum canceling effect in the middle position. Comes with Vintage style cloth covered lead wires.